View Cart “Standard UK Full Club Membership, 1 year” has been added to your cart. 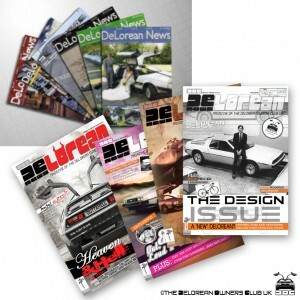 Overseas Subscription + 4 DELOREAN NEWS BACK ISSUES! £47.50 + £0.00 PayPal fee (contact secretary@deloreans.co.uk for other methods: we recommend PayPal for its reputation for safety and security). Postage all included. The club runs on a non-profit basis and everything goes into the magazine, gifts for members, club events, publicity etc. 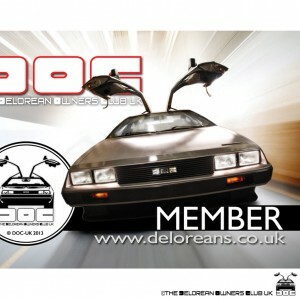 It is the only recognised and proactive club of the UK, flying the flag for the DeLorean around the world. Annual gift on renewal + More! All members receive technical support, news of DeLoreans for sale, opportunities to meet DeLoreans and owners, and many other opportunities as part of the active club and enthusiast family.